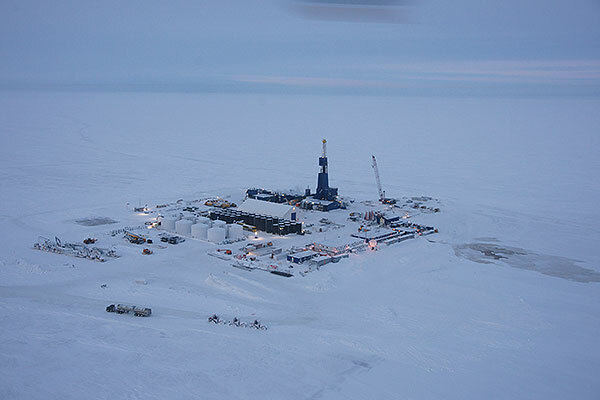 Pocated approximately 60 miles east of Prudhoe Bay on the coast of the Beaufort Sea, the Point Thomson field is estimated to hold eight trillion cubic feet (TCF) of natural gas accounting for around 25% of the total estimated gas resources in Alaska‘s North Slope area. The project was developed by ExxonMobil as the operator, with other major partners including BP, ConocoPhillips and Leede Operating Company. The first production from the field was achieved in April 2016. The field is designed to produce up to 10,000 barrels per day (bpd) of gas condensate. The budget to bring the field into production is estimated to be $1.3bn. The Point Thomson leases were first acquired by Richfield Oil, Humble Oil and BP Exploration in 1965. ExxonMobil discovered oil at the field in 1975 and gas in 1977. Up to 17 exploration wells were drilled by 1983, and two additional wells the PTU 15 and PTU 16 were recently drilled to initiate production from the field. In August 2000, the sponsors of the Alaska North Slope LNG group announced that they were to continue efforts to economically produce liquefied natural gas (LNG) from the North Slope area of Alaska. The field development covering an area of approximately 150 square miles involved the construction of three well pads: the central pad covering an area of 49 acres, and the east and west pads located about four miles each from the central pad and covering 18 acres each. Gas injection and producer wells and a disposal well were drilled from the central pad, while the development wells were drilled from the east and west pads. The east and west pads also house production and metering facilities. The pads are connected by an infield gravel road system and infield gathering lines. The wells were drilled using the Nabors Alaska 27-E drilling rig, which was upgraded for the project, with an investment of $35m. 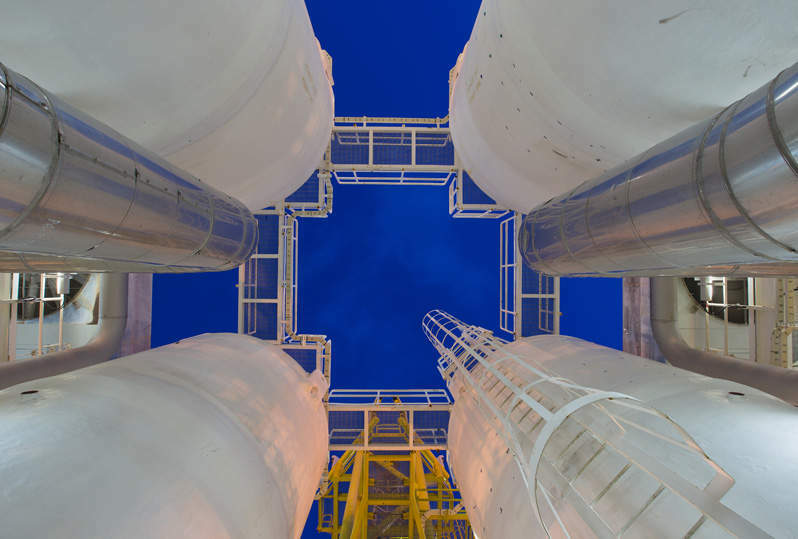 The project’s central processing facility (CPF), is located on the central pad, and is powered by natural gas produced from the field, while diesel stored in four storage tanks is used as a back-up fuel primarily during colder seasons. The facility possesses a treatment capacity of approximately 200 million standard cubic feet per day (MMSCFD). An insulated pipeline measuring 22 miles in length and 12 inches in diameter conveys the gas condensate from the field to the existing Badami common carrier pipeline, which connects to the Trans-Alaska pipeline system (TAPS). The pipeline facility is designed to accommodate future increase in production of up to 70,000bpd. On-site facilities including an airstrip, a service pier and a permanent camp for workers were constructed by Alaska Frontier Constructors. More than 2,200 vertical pipeline supports have been installed at the site as of September 2013 while ice roads have been constructed to support construction activities during the winter seasons. An emergency flare system is installed adjacent to the central pad, to burn certain natural gas released when pipelines and facilities are depressurised for maintenance, or during an emergency situation. A gravel mine was also developed to support construction activities, and the pit was later converted into a water reservoir to provide freshwater during operations. Other infrastructure at the site includes offices, warehouses, shops, water and chemical storage facilities, water and wastewater treatment plants, a grind and inject module, and waste management facilities. ExxonMobil, one of the world’s biggest oil and gas companies, implements extended-reach directional drilling method from the onshore pads to collect the resources from the offshore areas where half of the field’s resources are located. The drilling is extended to almost two miles offshore at a depth of 11,000ft. The project also incorporates the pressure gas cycling process, which involves the initial production of gas and liquids simultaneously, followed by the separation of condensate liquids from gas on surface and re-injection of the gas to the reservoir to maintain pressure. The engineering, procurement and construction (EPC), and project management services for the project were provided by WorleyParsons and Flour. PND Engineers provided the infrastructure and civil design for the project, while Michael Baker Jr. developed the pipeline design. "More than 2,200 vertical pipeline supports have been installed at the site as of September 2013." CH2M HILL Alaska has been subcontracted to install the production system modules in partnership with ASRC Energy Services. The former also fabricated and installed the standby power-generation module, which provided backup power at the site throughout 2014. In collaboration with Jago Contracting Management, Kentz has been contracted to mobilise the engineering employees in California and personnel for fabrication in Korea, and carry out commissioning activities on-site. Haskell Corporation was contracted to fabricate the four diesel storage tanks. The tanks were transported by Foss from the fabrication yard at Anacortes, Washington, to the project site using two barges, two ocean-going tugs and two shallow-draft assist tugs. UIC Bowhead-Crowley has been awarded the contract to provide shuttling freight services to the site during the pad development. The Environmental Impact Statement (EIS) for the project was prepared by US Army Corps of Engineers.